My clinic is open Tuesdays - Fridays. Welcome to the year of the earth pig! 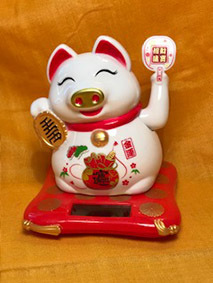 "Fortune will smile on you during the year of the pig." Hoorah, the year of the pig is upon us, we can relax a little, eat well, sleep well and be brave when required. The quality of earth brings patience and stubbornness to the table. 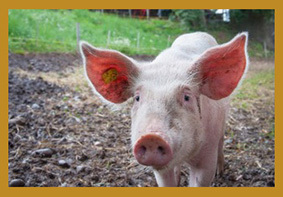 Pig year is your year? One way of taking advantage of that is to think about your 12 year life plan - where do you want to be in 2031 when your pig year comes round again? Writing a list of objectives, applying ourselves to get to know ourselves well this year and planning to build our lives going forward is one way to really use the energy of our birth year. Looking back at the last 12 years and seeing what we can learn from it is also helpful. This is your year to shine in Chinese astrology. I have worked in the Stroud area as an Acupuncturist full time since 1994. I have a discreet practice based at home in private surroundings in a quiet setting in Rodborough, Stroud in an 18th century stone house. The clinic is on the ground floor and has relatively easy access - see relevant page. 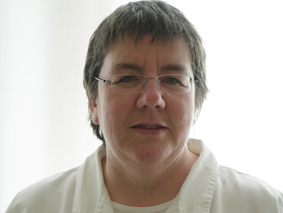 I trained and taught at The College Of Traditional Acupuncture, Leamington Spa and specialise in five element acupuncture.